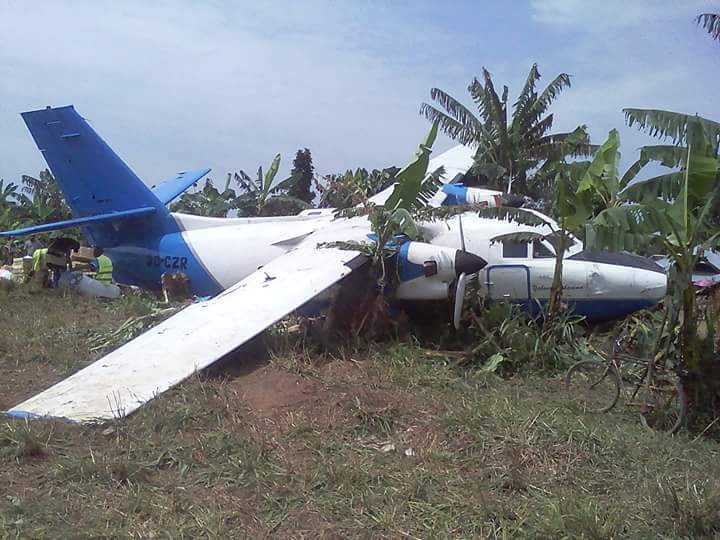 The crew, one Russian and one Congolese, was performing a cargo flight from Bukavu to Shabunda, carrying various goods for a total weight of 1,300 kilos. After touchdown, apparently after a course of 300 meters, it is believed that the tire on the right main gear burst. 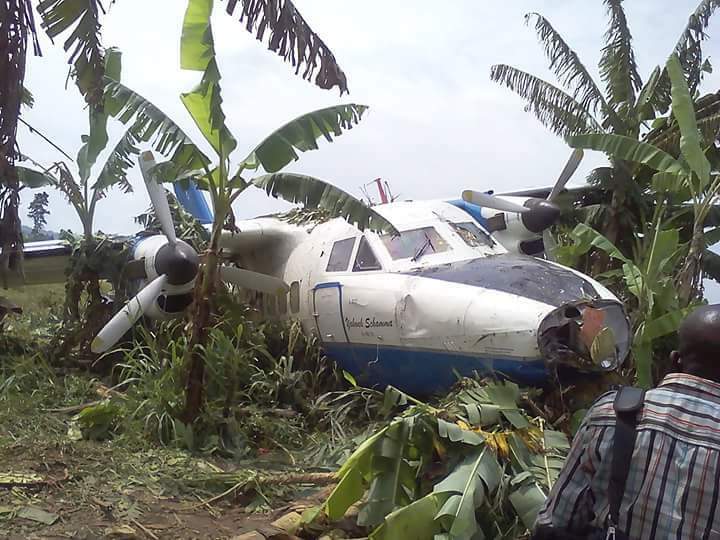 The aircraft veered off runway and eventually collided with banana trees. Both pilots were uninjured while the aircraft is possibly damaged beyond repair.